I absolutely loved this book! If I didn't have a backlog, I would be reading this again immediately – and I probably will before the week is over. Lily and Luc really are not supposed to like each other, certainly not discover that they have such an affinity for each other that all the good sense in the world doesn't help. Luc was convinced she was a vacuous TV actress, not destined to play Elizabeth I in his newly restored theatre. Meeting her, he realises that she is going to change his life forever. There are a lot of little scenes in this book which reveal another truth about one or the other of our leads. Some made me chuckle, a couple made me tear up, all of them gave us another piece of the puzzle. Somehow, we are there: listening in as Trix and Lily talk about Dan; as the connections between the Lamprey and Savage families are revealed; amongst the actors as they prepare for first night and how the future of everyone hangs on how successful they are. It just works brilliantly. The conversations are delivered at such a pelt, the humour, the intelligence, the incisiveness of every word. The concepts of family, of priorities, and of love, all get given an airing in this clever book. It manages to give the reader a reminder of how despicable the media can be, and how actually famous people may not have the perfect life that money and fame would suggest. I loved the writing style and read the book from cover to cover, foregoing sleep, because I really just couldn't stop. Do make sure that when you pick up a copy that you have time to enjoy it. This was my first time reading anything by Lucy Parker and I was totally won over! Pretty Face is an absolute delight and I had no trouble devouring every word Parker wrote. With each page, I fell more in love with Parker's characters. Honestly, I was a little unsure how at first if I would like this book because theater isn't really my thing, but Parker did such a phenomenal job bringing the West End alive that even I can't wait for my first West End show. Lily Lamprey is a TV actress trying to make it onto the West End theater and prove that she truly does have acting talent and she's not just some vacant Barbie. Unfortunately, between her voice and curves people have trouble taking her seriously. When she finds out that Luc Savage, a well-known West End director, is renovating his theater for a new production, she hopes that it could be her big break. If only she didn't have such an undeniable attraction with the director. A romance between them would only raise suspicions and be disastrous for both of their careers. Lucy Parker lives in the gorgeous Central Otago region of New Zealand, where she feels lucky every day to look out at mountains, lakes and vineyards. She has a degree in art history, loves museums and art galleries, and doodles unrecognizable flowers when she has writer’s block. Her interest in romantic fiction began with a preteen viewing of Pride and Prejudice (Firth-style), which prompted her to read the book, as well. A family friend introduced her to Georgette Heyer, and the rest was history. She loves to talk to other readers and writers. 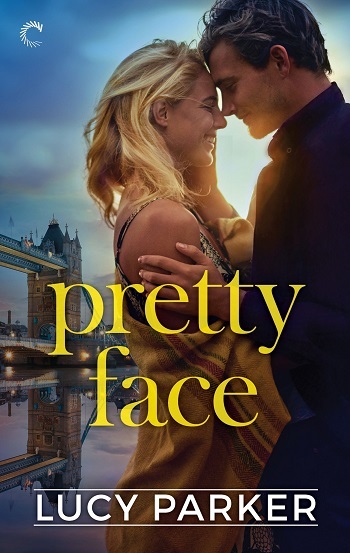 Reviewers on the Wicked Reads Review Team were provided a free copy of Pretty Face (London Celebrities #2) by Lucy Parker to read and review.